A special glow-in-the-dark edition of the New York Times bestseller and beloved bedtime favorite! Down in the big construction site, tough trucks work with all their might. But now it's time to say goodnight! Even the roughest, toughest readers will want to turn off their engines, rest their wheels, and drift to sleep with this sweet and soothing story. 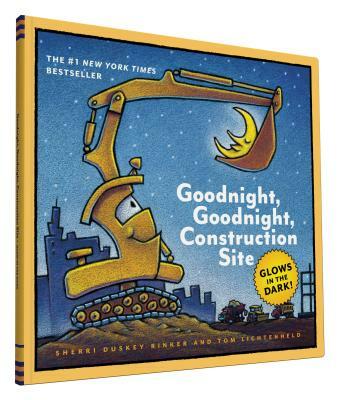 With its special glow-in-the-dark ink, Goodnight, Goodnight, Construction Site will keep sleepy construction fans company even after the lights go out.